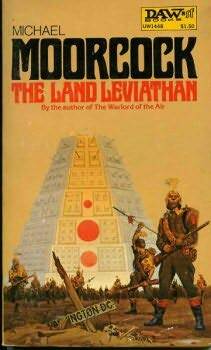 The first book in the Clockwork Empire steampunk trilogy. Miss Alice Michaels is 22 and still unmarried. Her fiancee, mother and brother have died of the clockwork plague and her father is severely ill. Because Alice’s father is a Baron, she can’t get a job and the only thing she’s good at is making and repairing mechanical automations, which (is another thing) women aren’t supposed to do. She has managed to get an invitation to Greenfellow’s ball which is her last chance of catching a wealthy husband and keeping up appearances. At first, she despairs when it’s clear that everyone shuns her. However, she befriends Louisa Creek, a woman who takes full advantage of her position as a heiress, and she meets Norbert Williamson, a wealthy industrialist who is very interested in her. On the way back from the ball, zombies attack her carriage and she’s saved by a group of people calling themselves the Third Ward. Even though the police has given up on fighting the zombies, because they don’t want to get infected, these people fight the zombies. Alice helps them and wishes briefly that she could join them. However, her father is ill and has a lot of debts, so her only choice, in the eyes of the society and herself, is to catch on wealthy husband. 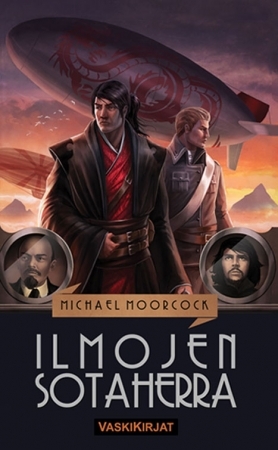 Gavin Ennock is a cabin boy on the airship Juniper. He’s been a cabin boy for years and knows airships inside out, but he can’t become a full airman until on his 18th birthday, which is in just a few days. Unfortunately, the Juniper is attacked by air pirates. The crew is killed and the only thing that saves Gavin is his skill with the violin. He’s also an excellent singer and has perfect pitch. Eventually, he manages to escape but he’s lost his job and has to suddenly support himself in the streets of London. He’s from a poor family who lives in Boston. Alice and Gavin are quite different. Not only are they of different status in the eyes of society but they’ve also been taught different things about themselves. Alice has known all her life that her only worth in through marriage and that she’s interested in the wrong things because of her gender. So, she has learned to lie and keep her real feelings a secret. Her duty is towards her father. Gavin has worked hard to achieve was he really wants and his duty is to the airship and the crew. He has no reason to lie. Their outlooks on life are quite different. Because Alice has such a strong sense of duty towards her father and towards their place in society, she isn’t eager to head into adventure and an uncommon lifestyle. Because many of Britain’s men have died because of the plague, women have had to step up. Women who were married to members of the Parliament, who became ill, voted in place of their husbands. Women even got suffrage but still the society at large looks down on women who use their right to vote. They are called Ad Hoc women and Alice’s conservative father is strongly against them. So, for most of the novel, Alice waffles between her duty and her desire for a more exciting and meaningful life. Some readers most likely find that boring but I found it realistic. The world is quite interesting. The whole world is suffering from the clockwork plague which makes people sick. The sick people are contagious so others avoid them. The sick people also seem to have a need to infect others, so they attack the healthy ones. They are sensitive to sunlight and are called zombies. However, some rare people don’t become zombies but clockworkers: they are geniuses in their own field but inevitably they will become mad and die in a few years. The Third Ward is a shadowy organization whose purpose is to corral the clockworkers. The Ward gives the clockworkers a safe place to work in and also keep them from the general public, keep the other people safe. The Doomsday Vault is the place where they keep all of the inventions which are way too dangerous to ever use. The clockworkers and the plague affect every country. In India, for example, the clockworkers are stoned alive which in China they are revered and given materials to work. That’s why China has advanced inventions which might make them the strongest country in the world some day. The Doomsday Vault is an entertaining book. I even enoyed the inevitable romance. The novel is very loyal to the comic. Most of the time it follows the comic panel for panel. I’ve been a fan of the comic for a few years and love it. However, I’m not sure how accessible this novel is if you haven’t read the comic. Agatha Clay is student at the Beetleburg University and an assistant to one of the professors. However, she’s also absent-minded and clumsy. She lives with her step parents who are constructs. One day, Baron Wulfenbach, who has ruthlessly conquered most of Europa, comes to town with his soldiers. Two of them rob Agatha of her necklace and strange things start to happen to her: her mind feels clearer but she also starts to sleep walk, in her nightclothes. 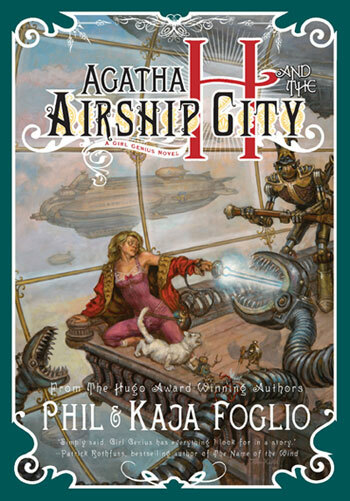 The Baron kidnaps Agatha to his airship and she’s introduced to a wider world, while getting to know herself. I adore the Girl Genius world. It’s a steampunk alternate world where some people have supernatural powers to construct mechanical things. Unfortunately, these people, called Sparks, tend to ran amok, building weapons and destroying people around them. So, Baron Wulfenbach has taken it upon himself to capture the Sparks, let them work, and, well, contain the destruction. However, the Baron is also interested in knowing just how and why Sparks are born, so he dissects them to learn more. The Baron has very interesting people on his airship. There’s his son Gilgamesh who is a Spark and almost as ruthless as his father and various constructs, including the Jägermonsters who can be either funny or terrifying, depending on the scene. They talk in a horrible German accent which is pretty much the only thing I don’t care about in the comic. Sadly, it’s even more pronounced in the novel. Then there are the students who are either hostages or future Sparks or both. On the background, and sometimes the foreground, there are stories of the Heterodyne boys who were the heroes of this world until they vanished. Some people are still waiting for them to return, while some think they’ve never existed at all. 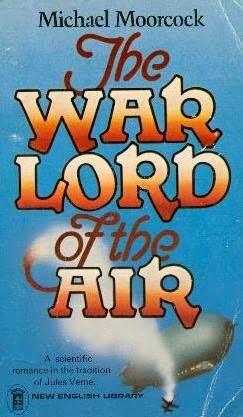 The novel is entertaining, of course, but none of the gadgets are explained and most of the lingo is also unexplained. This works in the comic because you can see the gadgets and get other visual clues but perhaps not to well in the novel, especially if you haven’t read the comic. So, go and read it! 1, Choose Your Level: Choose a challenge level listed below. 2, Sign Up Post: Create a post on your blog, in a group, or on a forum (where possible) to let others see what you’re aiming for (a predefined list of books is optional). 3, Grab The Badge: Download or grab the badge and place it in your sign up post. Then link back to BA’s Get Steampunk’d Challenge. Grab me!Bookish Ardour. 4, Link Up: Grab the direct URL to your sign up post, not your blog, click the Mr Linky graphic and enter your link. 5, Blogless? Don’t worry, you can sign up with your social network profile (YouTube, Twitter, GoodReads, Shelfari included), just make sure you link to your review list, shelf, tweet, or category. If you don’t have any of those feel free to comment. 6, Your Reviews: Reviewing is optional! But if you do review it would be great for you to share them by submitting them on the review page. 7, Finished: When you’re done it’s completion post time and you can share these on the completion/wrap-up page. I’m going easy on myself and choose Geared: 5 books. I read one more book than my goal but surprisingly, I read only one book from my TBR. This means, of course, that I have to read some more steampunk in 2014.